Walgreens missed second-quarter earnings by 22%, sending the stock down more 8% in pre-market trading. The company also slashed 2019 fiscal year guidance citing “consumer market challenges” as politicians focus on increasingly high drug costs. Walgreens slashed guidance for the year as it contends with an increased political focus on drug prices. Both Walgreens and rival CVS have warned that profits may suffer amid the political fallout. 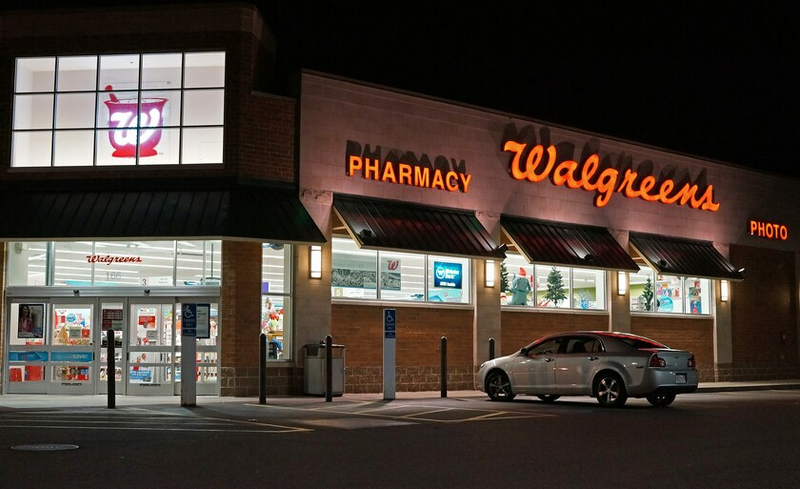 Competition among the retail giants has heated up in response, with Walgreens refusing to fill prescriptions for certain CVS customers. The pharmacy posted adjusted earnings for its second fiscal quarter of $1.34, missing the $1.77 estimate that analysts surveyed by Bloomberg were expecting. Revenue for the quarter was in-line with estimates at $34.5 billion for the quarter. Walgreens lowered guidance for the remainder of the year to “roughly flat” growth over last year’s adjusted earnings of $6 per share. The company had previously guided for an increase of 7-12%. Walgreens stock was down nearly 8% in pre-market trading Tuesday. 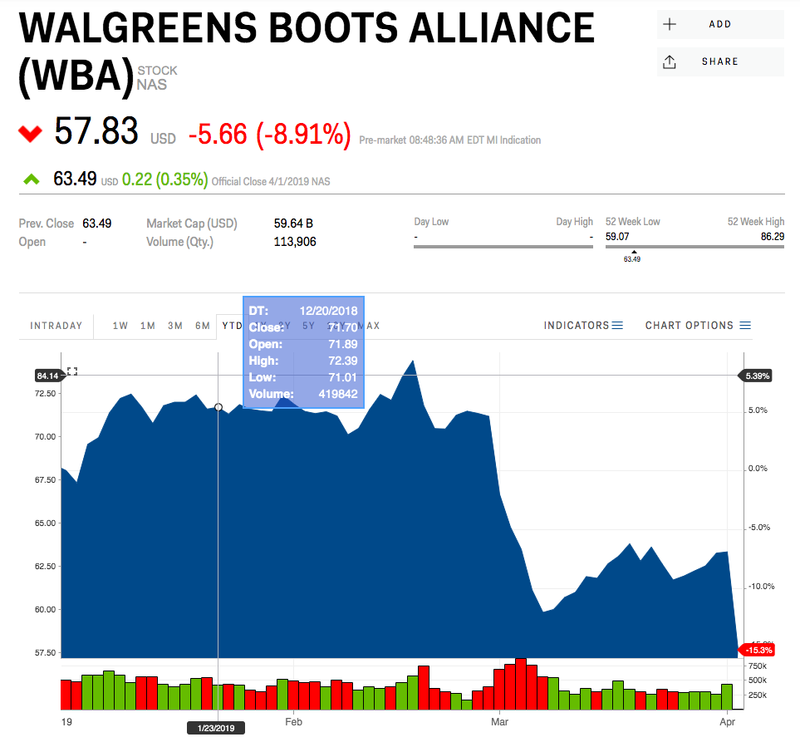 “The market challenges and macro trends we have been discussing for some time accelerated, resulting in the most difficult quarter we have had since the formation of Walgreens Boots Alliance,” said executive vice chairman and CEO Stefano Pessina. Both Democrats and Republicans have vowed to tackle rising prescription drug costs. The Trump administration recently proposed a ban on rebates to pharmacy benefits managers. The rebate payments lower drug costs for pharmacies but are not always passed to consumers. CEO Stefano Pessina noted these “consumer market challenges in the US and UK” while promising to reduce costs by at least $1 billion, setting the firm up for EPS growth in the mid-single digits over the coming years. “While we had begun initiatives to address these trends, our response was not rapid enough given market conditions, resulting in a disappointing quarter that did not meet our expectations,” Pessina said. Walgreens was down 15% this year, including Tuesday’s losses.